This project’s ideas focus on the scientific method, which requires the observation of conditions and outcomes, leading to a hypothesis. The results of this hypothesis are then (re)tested. 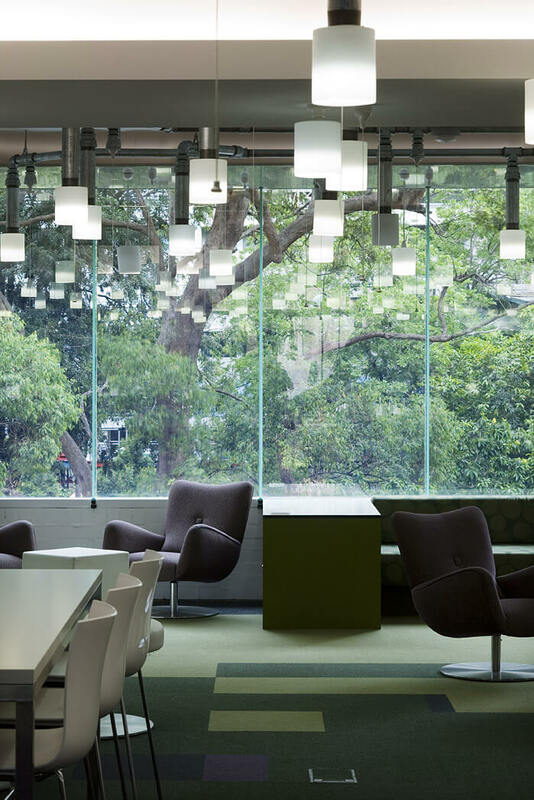 In 2007, the University of Queensland was in dire need of a student learning centre for the Science faculty’s first-year cohort. 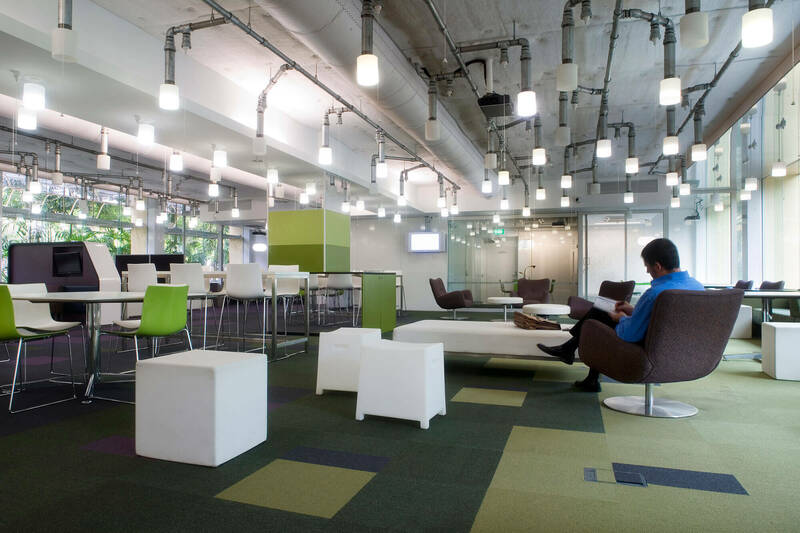 Our design includes functions for peer to peer learning, personal work spaces, group work spaces, mentoring, presentation work, faculty events and talks. We specifically sought out water pipes and connections, so that we could use them as exposed services runs. This language of hydraulic pipework unexpectedly leads to switches, electrical and communications sensors, movement sensors and lights. This approach tests the young scientist’s initial observations of the space and any hypothesis they may have made about the role of the hydraulic pipes. Lighting is arranged so that each individual globe can be controlled at its source, turning an open space into a personal space. 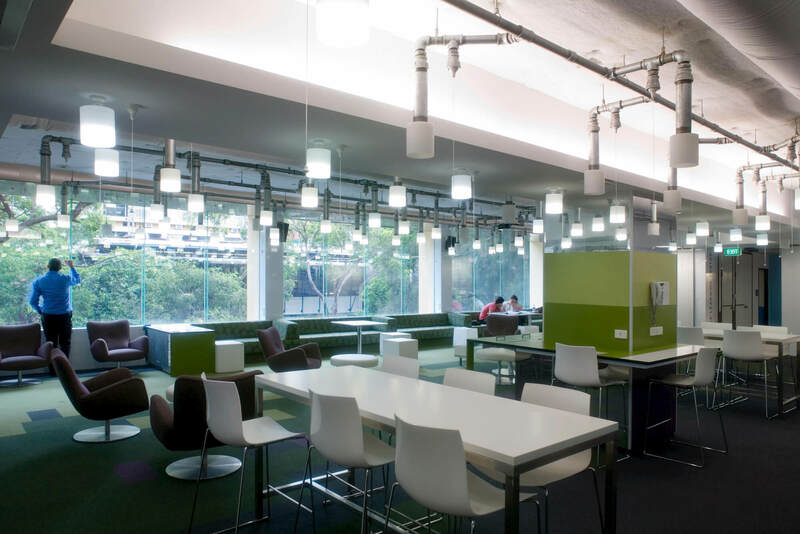 The Science Learning Centre allows for personalisation within a large open space and encourages engagement with the scientific method. 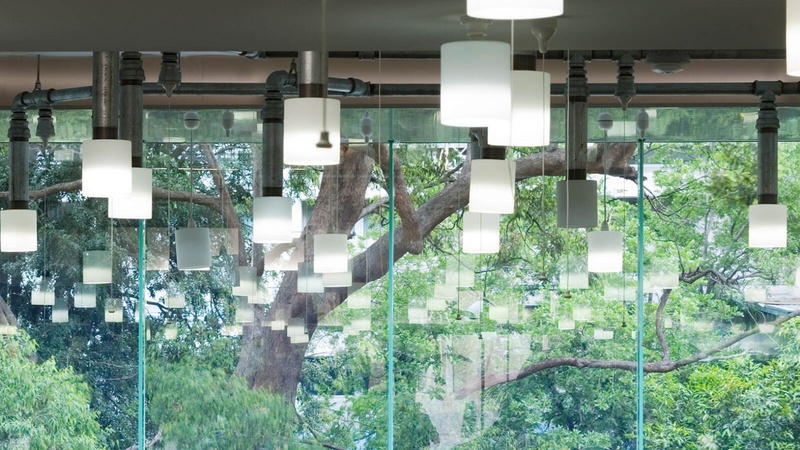 In a break from tradition, we encouraged The University of Queensland to look at an alternative procurement process. The project was run as an ‘open book’ construction contract. In the initial phase, we assembled the users brief, obtained a preliminary budget estimate and documented a demolition package, allowing the contractor to move onto site very early. The process of designing and documenting the project then ran in parallel with the construction sequence. As a result, the project was delivered on time and on budget. “First – m3architecture clearly knows how to manage projects! Second – m3architecture knows how to communicate and deal with differing opinions and difficult people. Kelly Matthews, Student Experience Manager, Faculty of Biological and Chemical Sciences, The University of Queensland.